Contraction worksheets and printables. Learn about the contraction rules and practice with the worksheets, learn the contractions, find contraction examples. These worksheets are suitable for the 4th and 5th grades. 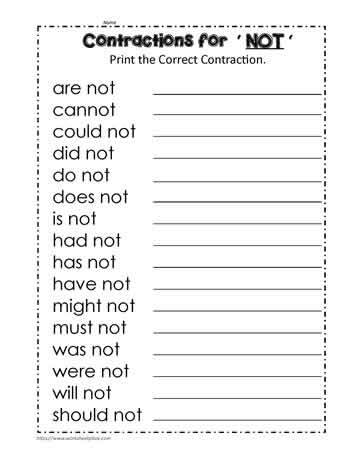 Print out the rules for contractions and use the answers on the 2nd page of the contraction worksheets. Language worksheets for grade 4,5 and 6.